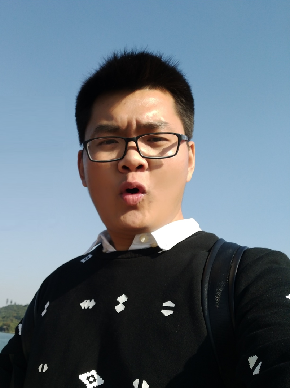 Currently I am a five years graduate student of Department of Computer Science and Technology in Zhejiang University and a member of VIPA, led by professor Mingli Song. I received my B.Sc. degree in Computer Science and Technology in June 2014 from Soochow University. In the same year, I became a Ph.D. candidate in Zhejiang University without entrance examination. Currently my research interests include: Representation Disentangling, Classification and Color Management. Z. Feng, X. Wang, C. Ke, D. Tao, M. Song, Dual Swap Disentangling. In: Thirty-second Conference on Neural Information Processing Systems (NIPS 2018). Z. Feng, Z. Yu, Y. Yang, Y. Jing, J. Jiang, M. Song, Interpretable Partitioned Embedding for Customized Multi-item Fashion Outfit Composition. In: ACM International Conference on Multimedia Retrieval (ICMR 2018, Oral). J. Ye, Z. Feng, Y. Jing, M. Song, Finer-Net: Cascaded Human Parsing with Hierarchical Granularity. In: IEEE International Conference on Multimedia and Expo (ICME 2018, Oral). J. Lei, Z. Wang, Z. Feng, M. Song, J. Bu, Understanding the prediction process of Deep Networks by Forests. In: IEEE International Conference on Multimedia Big Data (BigMM 2018). Y. Jing, Y. Liu, Y. Yang, Z. Feng, Y. Yu,, M. Song, Stroke Controllable Fast Style Transfer with Adaptive Receptive Fields. In: European Conference on Computer Vision (ECCV 2018). Z. Feng, W. Yuan, C. Fu, J. Lei, M. Song, Finding intrinsic color themes in images with human visual perception, Neurocomputing 2017. Z. Feng, Y. Jing, C. Zhang, R. Xu, J. Lei, M. Song, Graph-based color Gamut Mapping using neighbor metric. In: IEEE International Conference on Multimedia and Expo (ICME 2017, Oral). J. Lei, Z. Feng, M. Song, D. Tao, Which Face is More Attractive?. In: IEEE International Conference on Image Processing (ICIP 2016, Oral).